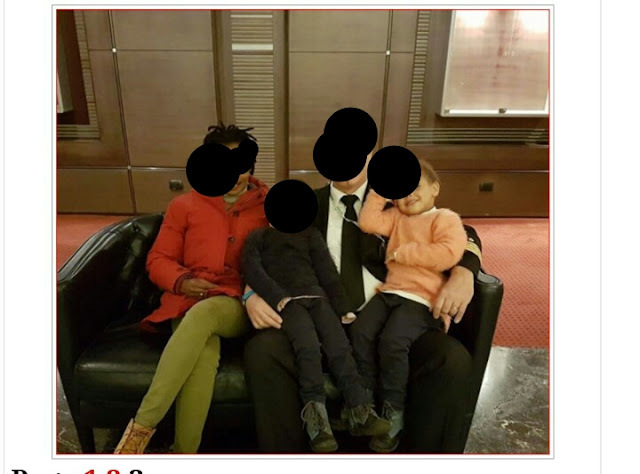 A Kenyan lady married to a mzungu pilot sponsor in Italy and who seems to be using 'Igbo' has a habit of going live on social media and unleashing her stuffs. She parades her n@k3d body on facebook while goofing around in the house. Mind you, she is a married mother of two. This lady seems to be consuming drugs or she is depressed. This is how she unleashes her pictures on social media.